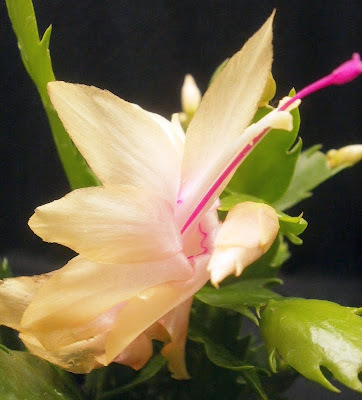 Plants are the Strangest People: Pretty pictures: Schlumbergera cvv. I'd love to hear how the pollination turns out. I've tried it before but not with much success. I was just wishing to know the name of my newly bought beautiful little plant with only one yesterday-opened flower. 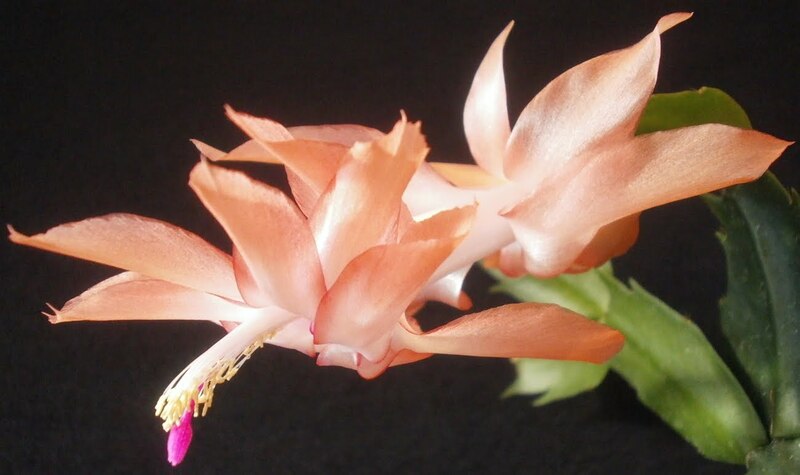 I like very much the shape structure of the plant. 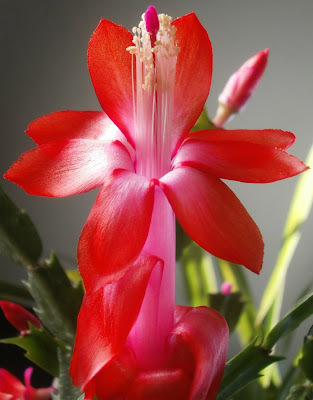 Well, it's a Schlumbergera, but beyond that it's hard to say -- there are so many varieties that it's impossible to identify a variety from photos alone.